At our Six Nations events at the start of the guests were welcomed to a four-course meal including cured smoked duck starters, mains were roast fore rib of beef with a mushroom and truffle puree, the perfect winter accompaniment to a winter rugby event. Of course, some of the highlights of our Rugby events is the post-match cheese board with a superb selection including Celtic promise, Tintern and Cropwell Bishop Stilton, served with quince jelly, bittersweet marmalade, oatcakes, fresh grapes and crispbreads. This March The Green Room made its debut at the Cheltenham Festival alongside our ambassador AP McCoy. It was certainly an event to remember and the food did not disappoint, across the four days guests were treated to a wide array of courses. 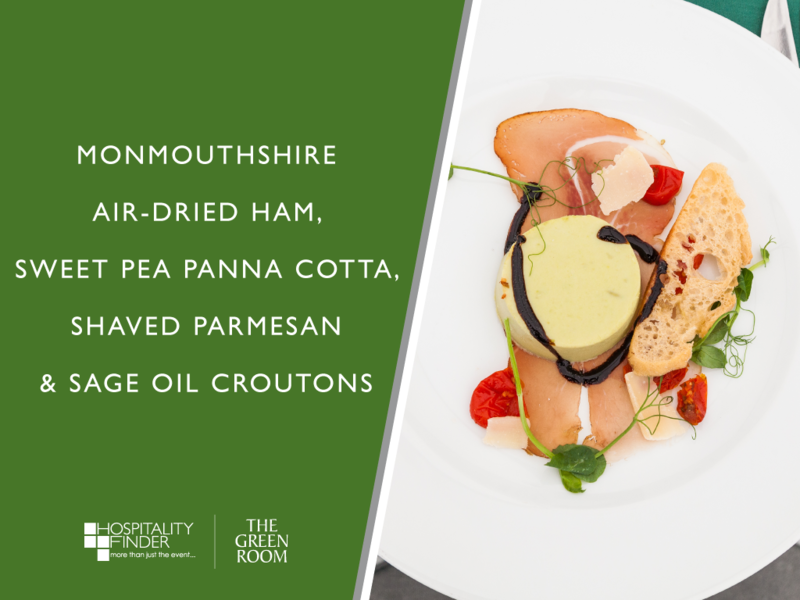 Some highlights of which was the mouthwatering Monmouthshire air-dried ham with sweet pea panna cotta, shaved parmesan and sage oil croutons. To round off the festival guests enjoyed a rack of Suffolk cross lamb with courgette and carrot ribbons, silky mash, mint salsa verde in a yoghurt crumb and redcurrant jus. The Kia Oval was played host to The Green Room's first cricket fixture with the England v Australia One Day International. Once again the cuisine did not disappoint with a smoked salmon starter and a 28 days aged fillet steak, the dessert was a perfect way to round off this summer event with a light raspberry tart and mango cream. After the first innings guests returned for a first-class afternoon tea, which consisted of gourmet sandwiches, chicken samosa and onion bhajis. 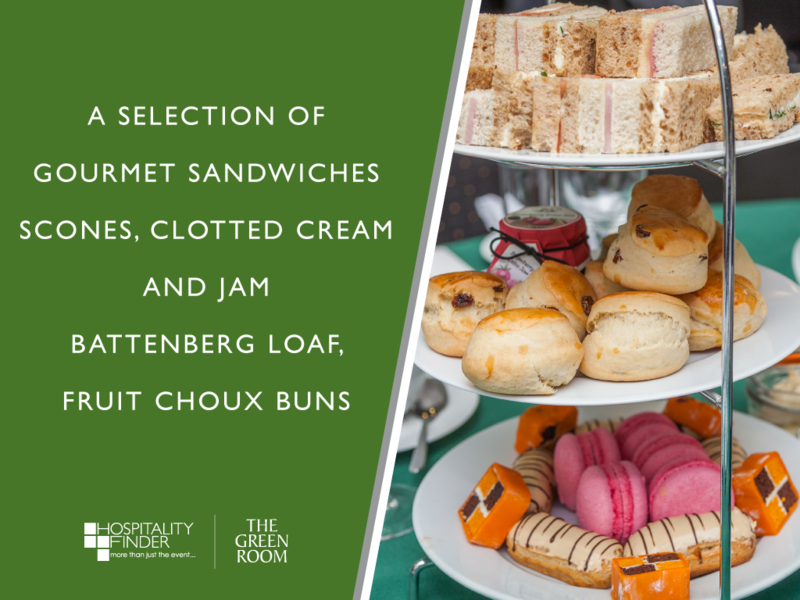 For guests with more of a sweet tooth there were scones with clotted cream and jam, Battenberg loaf and choux buns.